So following on from this crazy pie hype going on in the country, I thought it was only apt that we share with you our great Pie Face experience. I always believed we here in New Zealand all had an unexplainable love for pies, be it the apple pie from McDonalds, the Big Ben frozen pies from the supermarket or the gourmet award-wining pies from the standalone stores. 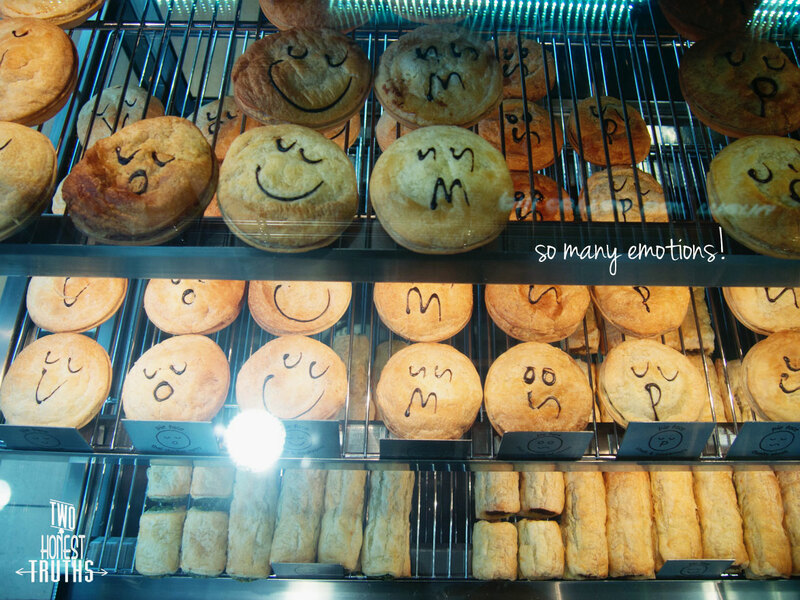 Everyone claims to have been brought up with pies, like we see with the Georgie Pie comeback. But oh, we are not alone in this flaky pastry heaven. 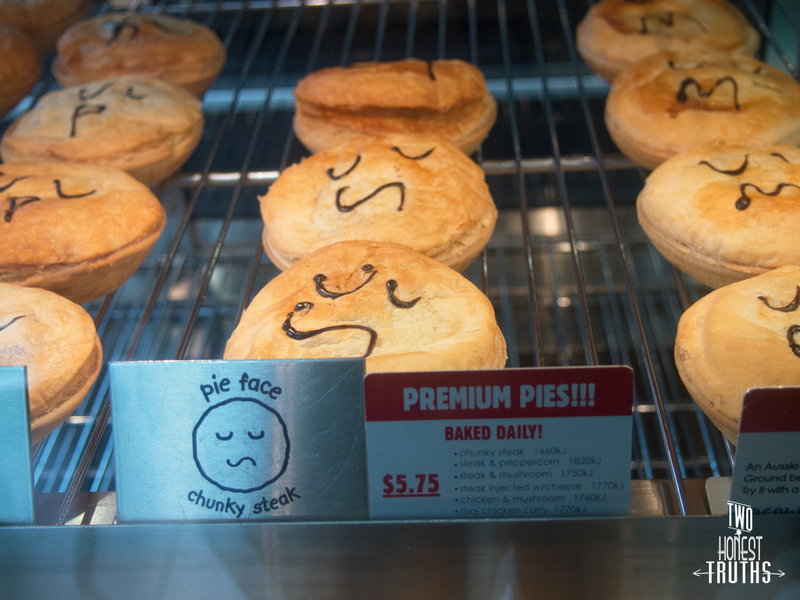 Aside from the beautiful buildings in the Melbourne CBD, another thing which stood out was that there was a Pie Face on every corner of the street – I kid you not. A lot of the stores we saw were even open 24 hours, the pie love is immensely strong. At first I was a little skeptical, surely all those gold and silver award labelled pies we got here would be better than a chain store. I was wrong. We ordered a Steak and Cheese Pie, a Sausage Roll and Minestrone Soup. Although the latter wasn’t to our liking, the former two were enough to have us reminiscing about Pie Face after returning back to Auckland. The pastry was puffy and crisp with a great buttery flavour. There were chunks of steak and cheese was oozing out of the pie. 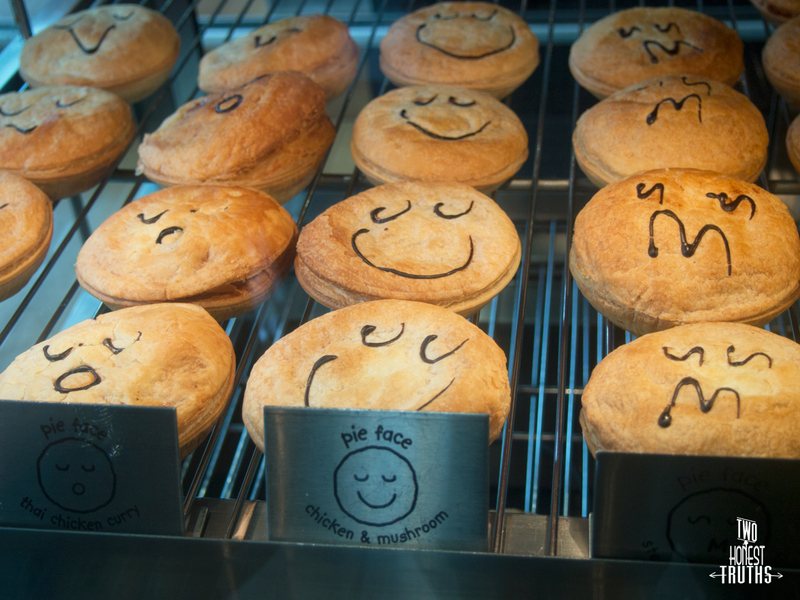 Now now, don’t get sad that you’ll have to fly four hours over the sea to try some of these happy looking pies, they’re actually opening soon here in New Zealand! (I had no idea too, until I spotted the familiar red face splashed all over a vehicle in Ellerslie after work.) 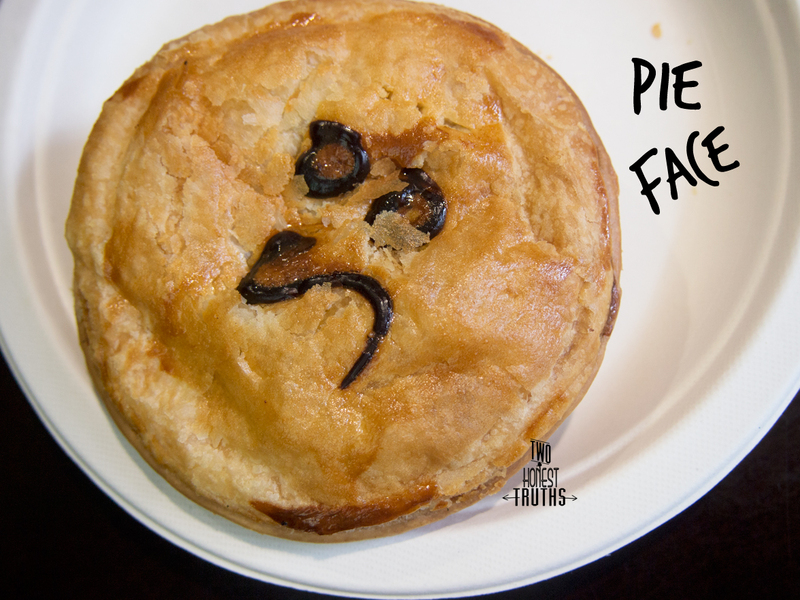 Here’s some photos to give you guys a ‘taste’ of it first, the many faces the pies sport give it the extra happiness – an ‘S’ frown for a ‘S’teak pie! 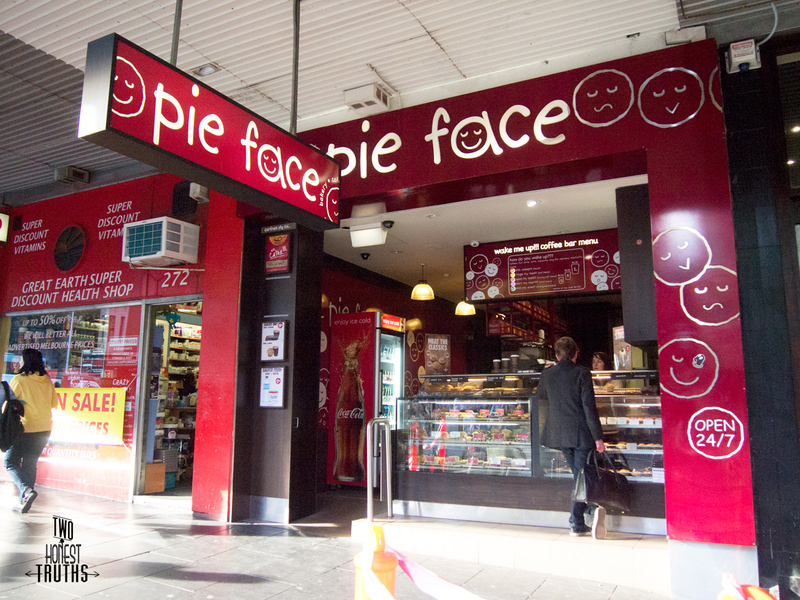 :S. A little side fact: Pie Face was actually started by two fashion designers.